1 What are Film Slides? 2 Welcome to 2018, it’s time to Digitize! 2.1 Do It Yourself or use a Slide Scanning Service? When personal cameras were first introduced, they all used some type of film. This film was usually presented as strips of negatives that needed to be developed and printed to be seen. Eventually someone figured out how to take individual images from those negative strips and bind them into a little square, and thus slides were born. See, film was a bit hard to handle; it could be tangled, ripped or ruined if exposed to light before developed, and if you wanted to display the images they had to be printed. Slides took care of most of those issues. Film slides were made with a cardboard border to write on and hold them by. This limited damage by human hands and insured the film didn’t get bent. But the main highlight of slides was their ability to be projected onto a screen for group viewings. They quickly became used in many fields, from academics to police work, and ultimately to your everyday photographer. 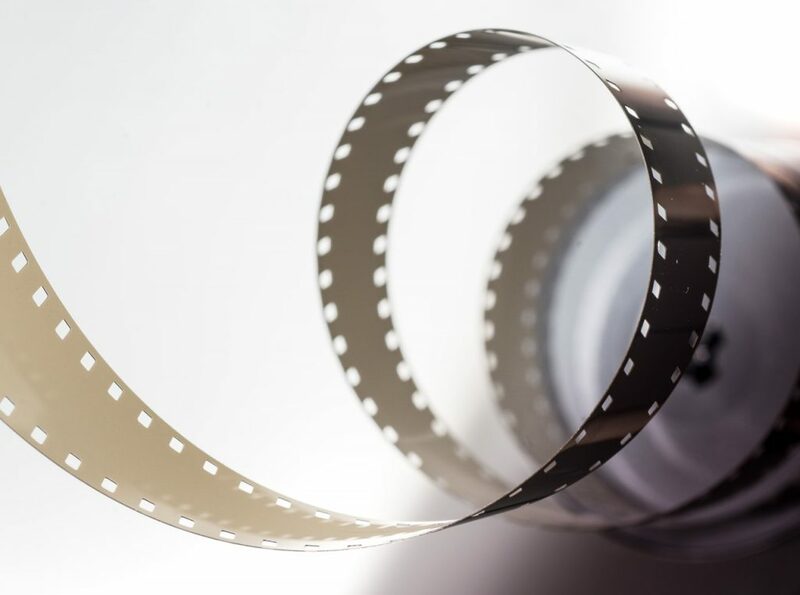 Slide film still needed to be developed but you could skip the printing process in lieu of projections, often known as slideshows. There are a few different kinds of slides, the most popular is 35mm slides. These slides are placed in a 2×2 mount and will easily work with most projectors and cameras. There are also 126, 127, and super 127 format slides. The difference with these formats is mainly the size of the transparency, but they are usually placed in the same 2×2 mounts as 35mm film for universal use. It’s important that slides are stored properly after being obtained. Luckily they already come with that little border and usually in a plastic box, so they’re pretty much built for storage. Just try to make sure that the box isn’t in a moist area or somewhere that could be exposed to the elements. However even with proper storage; slides are bound to accrue dust, scratches and discoloration over time. 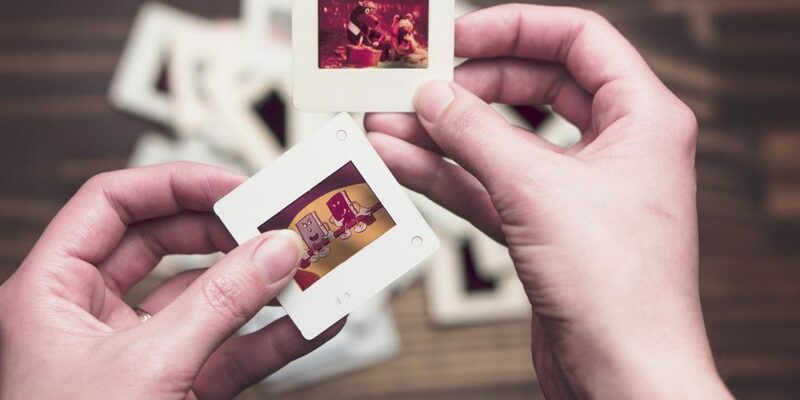 This is where the next step in your ownership begins, getting those slides scanned to digital and fully ensure the preservation of those captured memories. Welcome to 2018, it’s time to Digitize! Digitizing slides is a crucial step in preserving them. As mentioned before, slides will gather dust, get scratches, deteriorate and can be destroyed by a flood or fire. If those slides were digitized, you could store them on a variety of devices, insuring their safety from natural disasters. Digital files also don’t gather dust or scratches, and they won’t fade. Digital images remain the same indefinitely, unless someone uses a program to edit them. That’s another benefit of digital files. Wish that night shot of the family was a bit brighter? Boom, now it is. Want to cut out someone distracting in the background or fix red eye? Done. The list of possible corrections goes on and on, but the point is you can fix almost any issue you had with your slides once they are in digital format. And once you fix them up, you don’t have to gather everyone in your home to view them, you can just email them the images to save on their computer; now the whole family has a copy to enjoy! Do It Yourself or use a Slide Scanning Service? So now that we’ve established the benefits of scanning your slides, let’s talk about the downside. First off, it takes a loooong time to do, especially if you have a large collection. Also getting a scanner that can scan the slides at a high quality, is going to be expensive. Usually people just settle on their combo printer/scanner that they have. This can work, as long as you have the right software, but it won’t look nearly as good as it should. And of course once it’s scanned, now you have top crop the images to remove the mounts and dead space; and don’t even get me started on color correction. It’s a labor of love really. So you can spend a few weeks learning the tech and the skills, drop a few hundred bucks on a low end scanner, and come out with an okay conversion. But there is another option you may want to consider. Companies that offer slide scanning service are equipped with high end scanners, skilled technicians, and are more affordable than ever. Professional service bureaus can scan hundreds to thousands of slides per day at high resolution. High end slide scanners will utilize a technology called Digital Image Correction and Enhancement, or Digital ICE for short. Using Digital ICE, the scanner pre-scans each slide using infra-red light to identify and remove dust particles and scratches from the image. It also makes the often faded colors on slide exposures more lively and vibrant. Typically you can expect the scanned images to look much better than the original film. This is also where the slide format will come into play. Machine fed scanners are usually set up for 35mm film; and although the other formats are mounted the same, often their edges will be cut off in the scan. To avoid this a flatbed scanner is typically used, this process takes a longer time and most consumer equipment doesn’t offer Digital ICE functionality. But you can be sure that a scanning service will have machine fed as well as flatbed scanners equipped with Digital ICE, which is what you really want to ensure the best possible quality. So you have three choices when it comes to your slides. You can keep them in their carousels and occasionally pull them out at parties or when you’re feeling sentimental (assuming you have a working slide projector). You can try to scan them yourself if you have some extra cash and a lot of free time. Or you can have a scanning service digitize and correct them for you. Whatever option you decide to go with, decide soon, those slides aren’t getting any younger. If you want my advice, go with the scanning service; you get to have everything done for you and just reap the rewards. Unless you plan on starting up your own slide scanning business, the amount of money you’ll spend on equipment and time you’ll spend doing the work, just isn’t worth it. So slide into the future and digitize today.